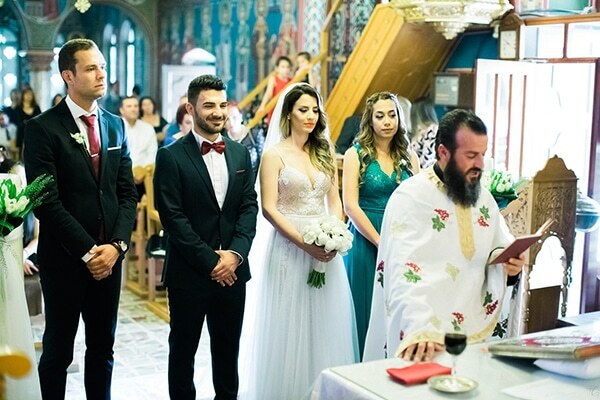 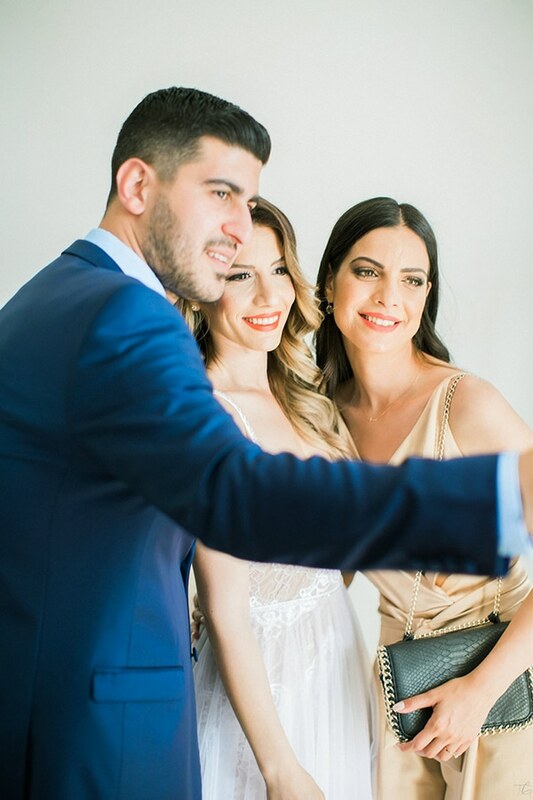 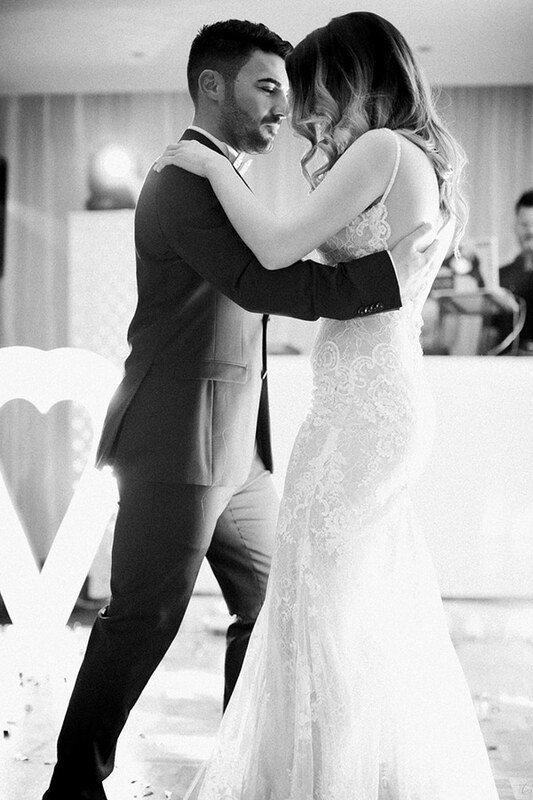 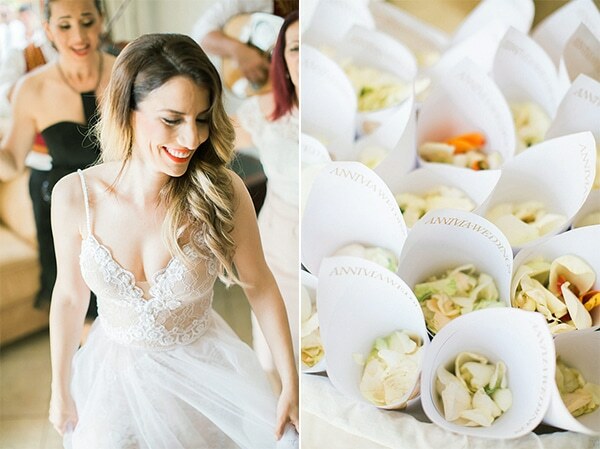 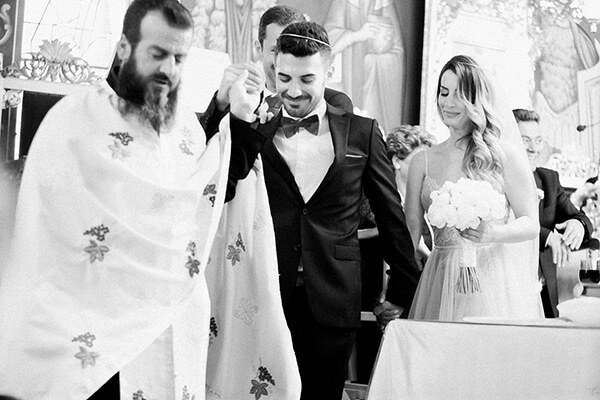 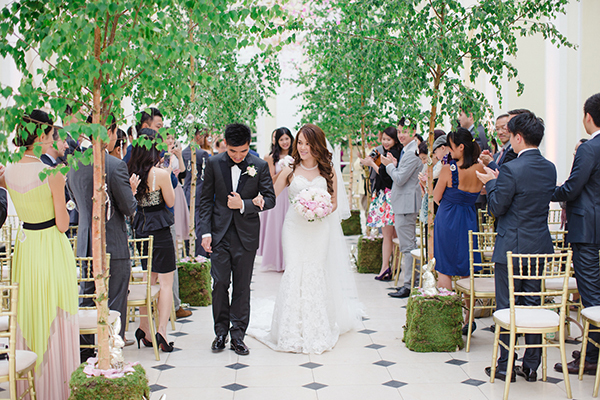 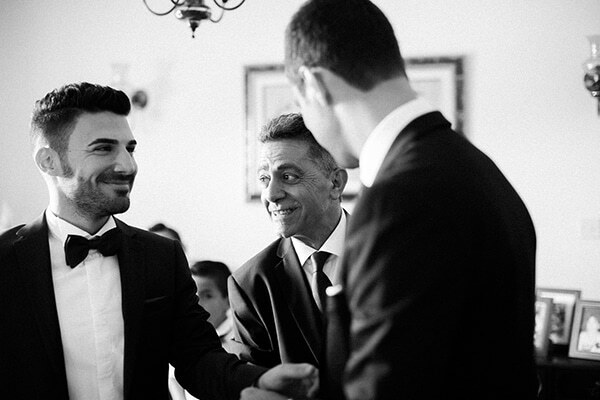 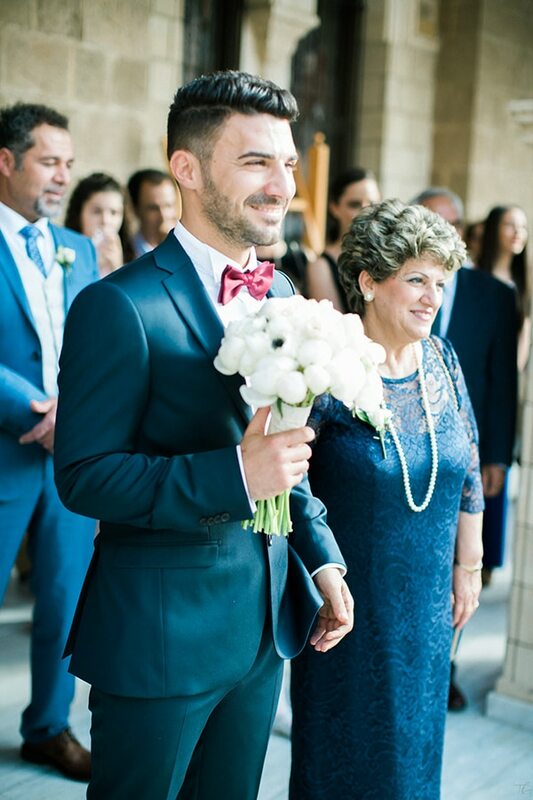 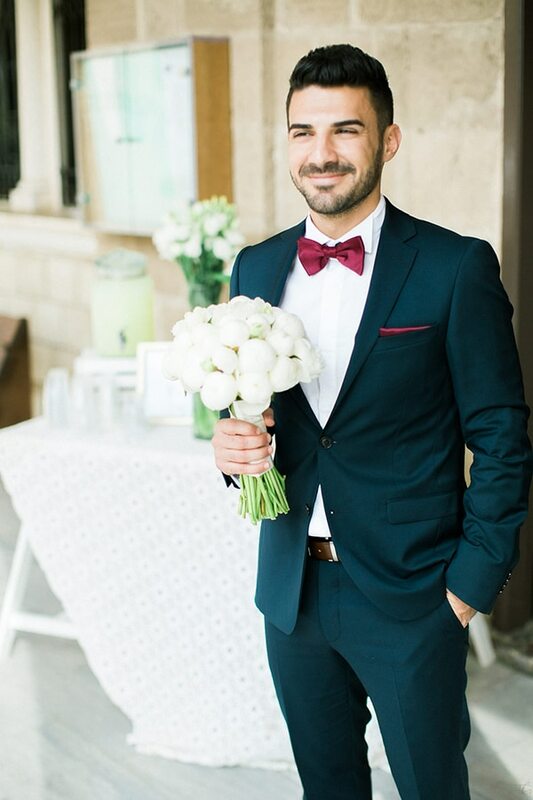 Following a simple, yet chic style, the spring wedding of Aristi and Neofytos was beautiful! 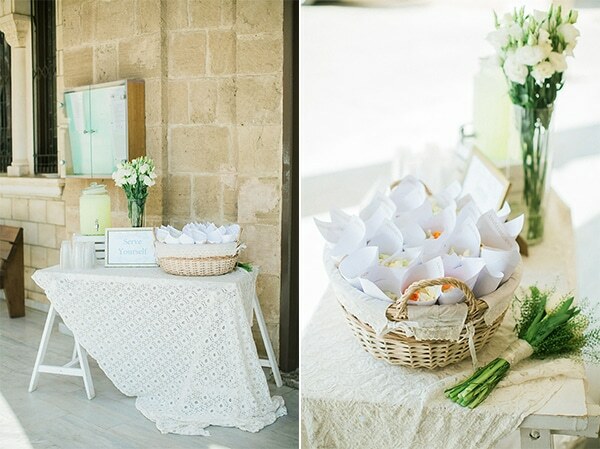 Church and reception areas were decorated with vintage items and white flowers, from which peonies were dominating. 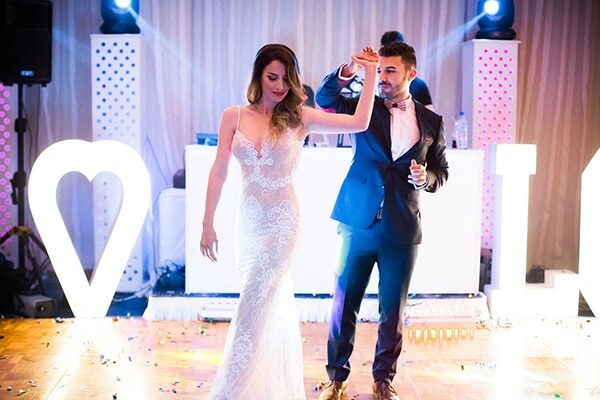 The beautiful bride with her unique Julie Vino wedding dress, the relaxed hairstyle and the amazing makeup, could not have look greater! 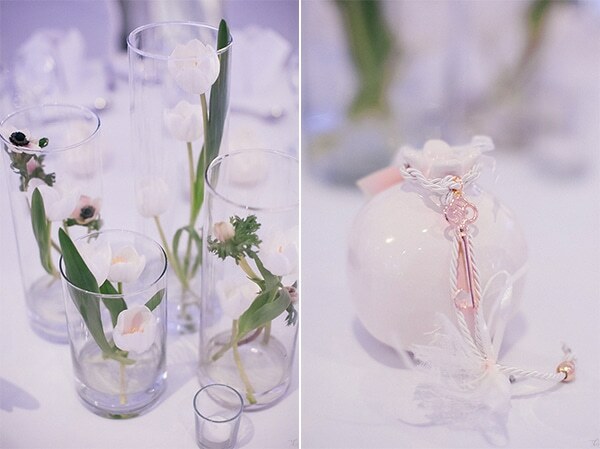 Have a look at the lovely photos captured beautifully by Theo Georgiades Photography and be mesmerized! 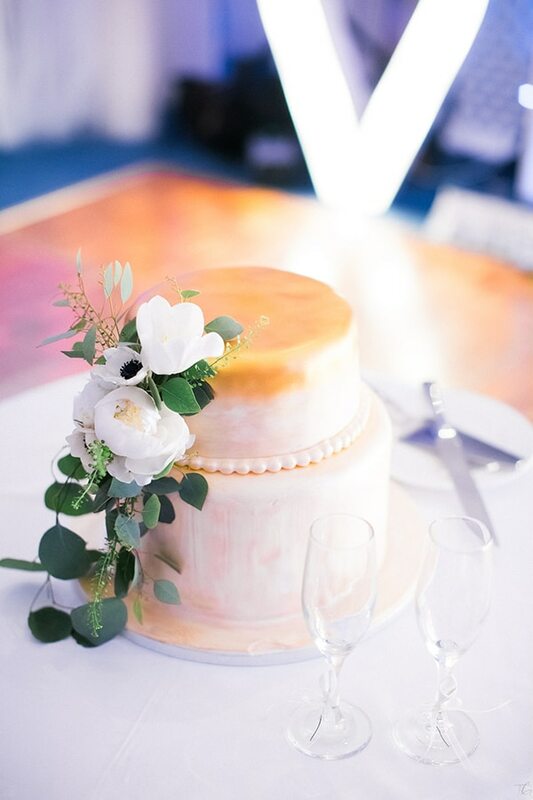 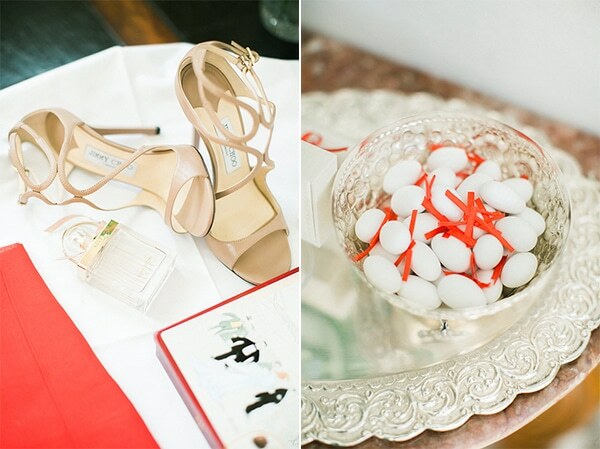 «Our wedding style was simple, yet elegant without any exaggerations. 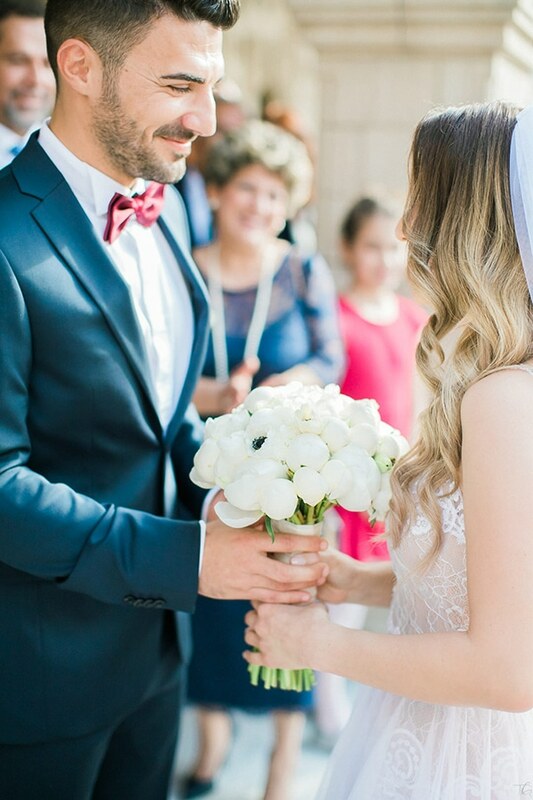 We knew from the wedding what we wanted, and we did not face any difficulties. 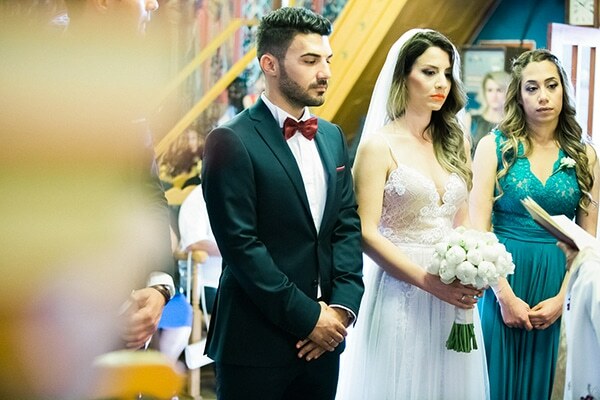 We wanted everything to be beautiful and harmonious”, the bride shared with us. 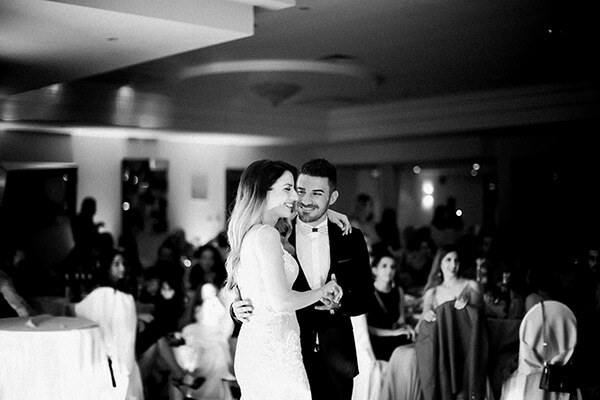 “I wanted to get involved with our wedding from the beginning and make sure that everything was going to be exactly as I have dreamed it. 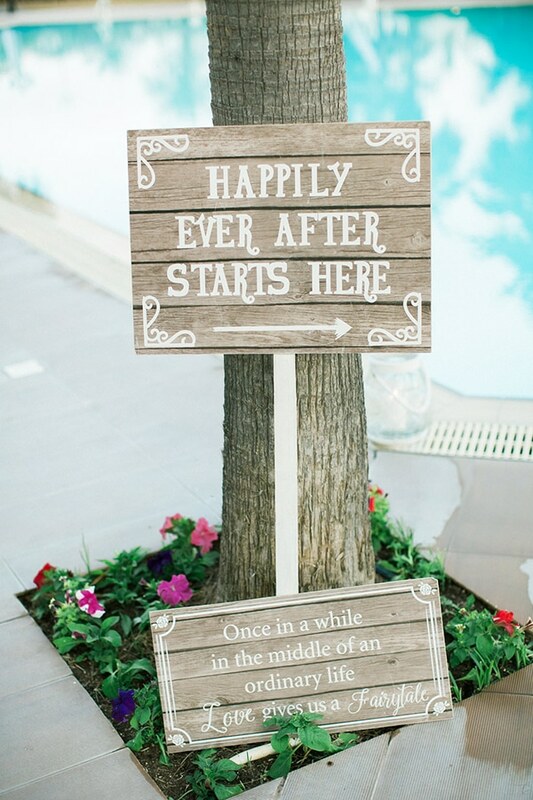 I found many ideas from Love4Weddings, Pinterest and Instagram. 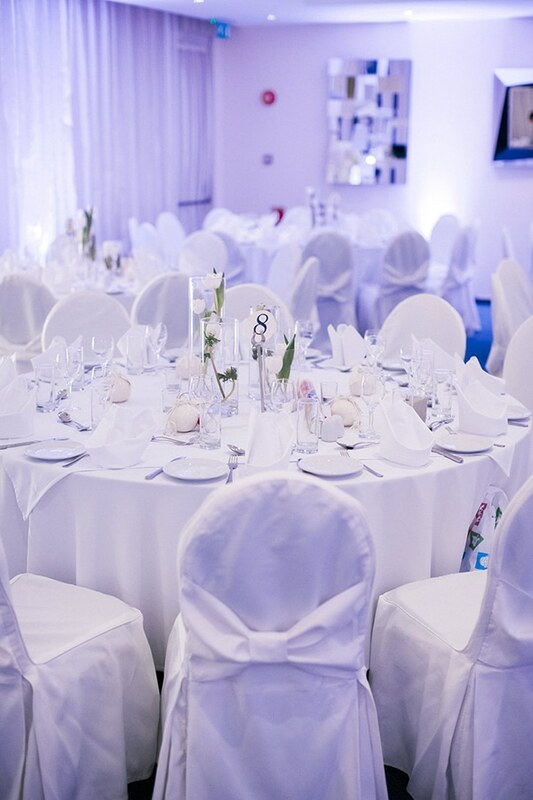 What was very important was the fact that everyone we have worked with were great people and excellent professionals”. 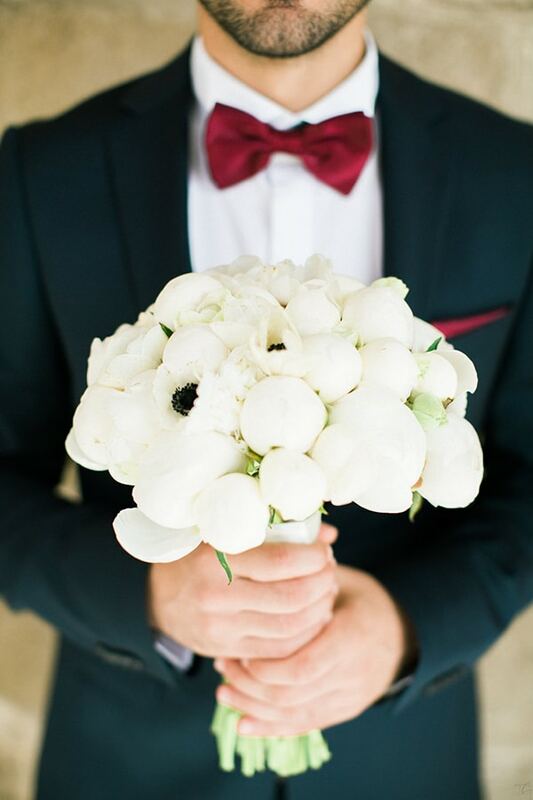 “My bridal bouquet had white closed peonies and white anemones, because I really like the combination of these two flowers”. 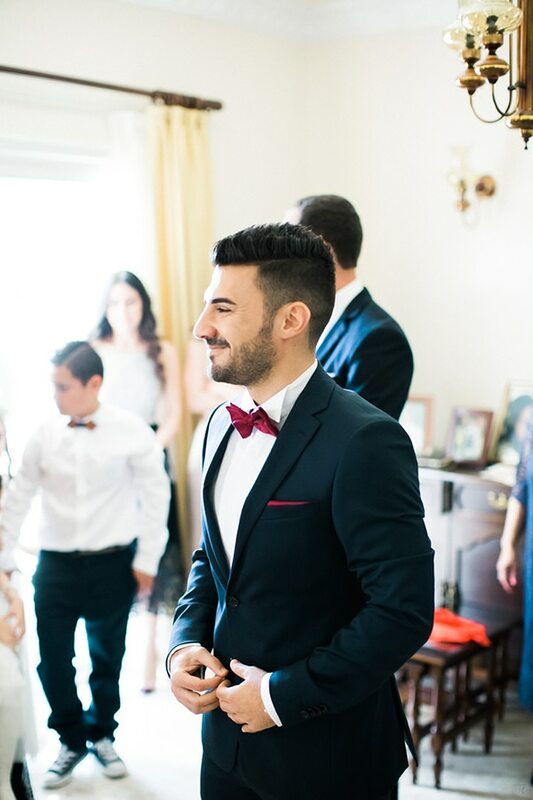 “My favorite moment was when I arrived at church with my parents and I saw Neofytos”. 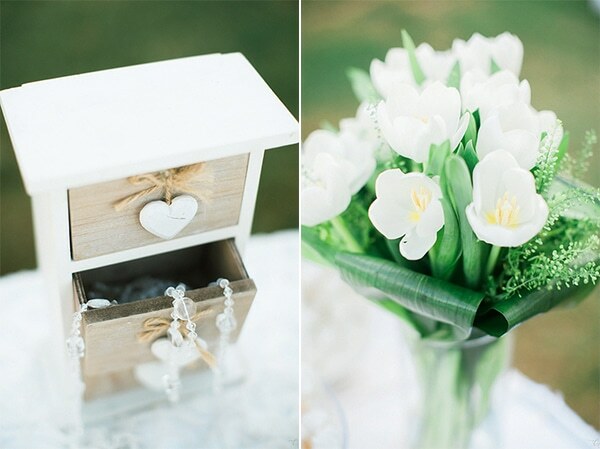 “From the wedding decoration I really liked the flowers! 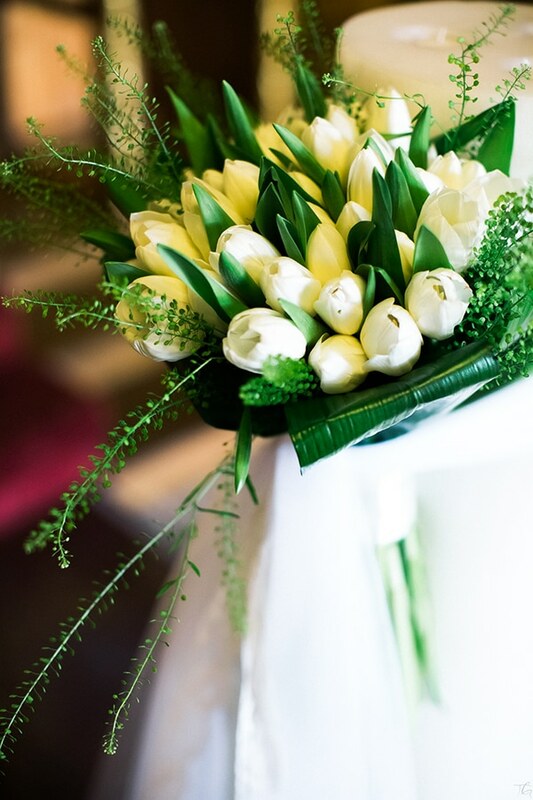 I have always loved white flowers! 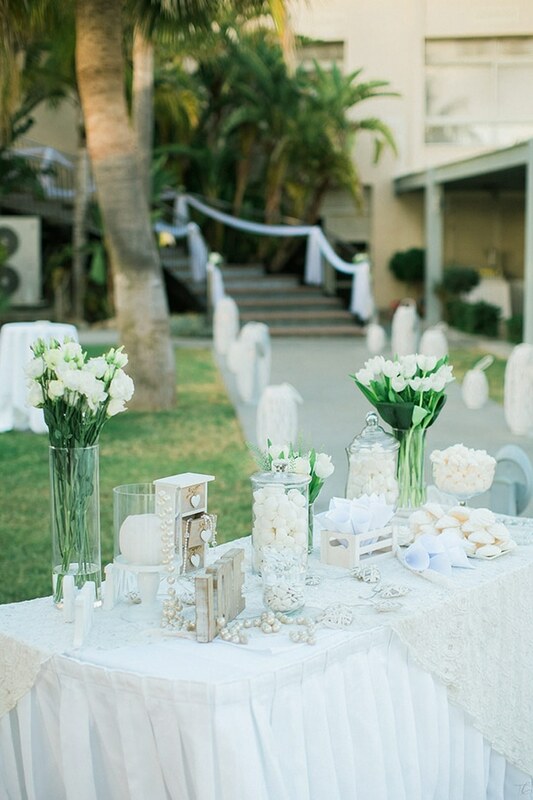 The church and reception decoration with white tulips, white anemones and candles was exactly what I wanted”. 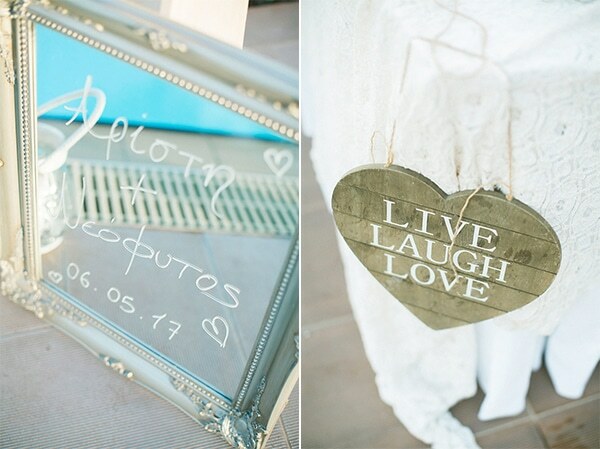 Bride’s advice: “A couple should do exactly what they like and dream of, follow its instincts and enjoy their wedding”.